We hope you are enjoying a restful and relaxing Thanksgiving holiday weekend with your families. We at the USYVL are so thankful for our community of players, parents, volunteers and staff that make our programs possible. 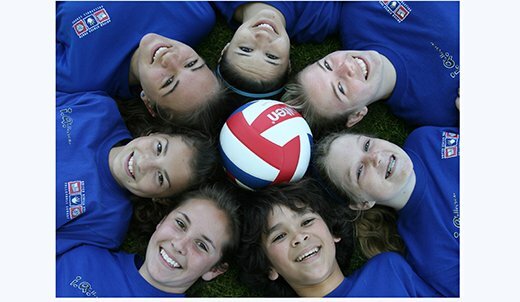 For over 20 years, we have aimed to provide every child between the ages of 7 and 15 a chance to learn and play volleyball in a fun, safe, supervised environment. We continue to expand our traditional leagues to new locations and are excited about the growing interest in our Advanced Juniors and Camp programs that are designed for kids looking for a more competitive experience where we focus on improving skills at a higher level with experienced coaches and more traditional game play. Whether our players go on to play at the collegiate level, as many have, or just recreationally we take pride in knowing that we can provide a foundation for kids to learn volleyball in a fun and safe environment. Our organization has thrived on participation in our programs and on the generosity from our community. Your donations help us grow and evolve our initiatives to run a healthy sports atmosphere fostering the development of responsible individuals. This Giving Tuesday we are asking you to consider making a special donation to the USYVL. In 2019 we will be undertaking a major technology upgrade and need your help to fund the project. This new technology will help us streamline the scheduling, communication and management of our programs to your local community. It will also help us fund our scholarship programs for children in need and expand our program offerings. This Giving Tuesday we are asking for a donation of $40 from our members. Any amount you can comfortably give will make a difference. To support USYVL visit our donation page or send a text message with a dollar amount to 310-341-0048. Your generous contribution will have a huge and lasting impact on our participants and their families.